There are many industrial applications where it is necessary to ensure that the product is sealed to avoid any outside tampering by unauthorised personnel. CELO propose the use of the sealing screw made by cold forming process, offering great opportunities for cost reduction and better performance. • Cost reduction both for the price of the insert and its insertion into the mould. • Material can be easily recycled. Design specifications for sealing screws. • Machine and partial threaded. 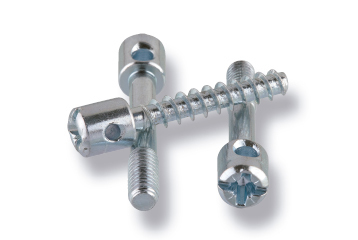 SEALING screws are produced under special demand to fit your exact requirements. For further information, please contact our applications engineers.